The Industrial Revolution resulted in a huge increase of houses built during the reign of Queen Victoria (1837 to 1901), which are now a common feature throughout British towns and cities. Typical details, including high ceilings and good-sized rooms make these properties highly attractive to potential buyers. Unfortunately, this type of construction bears some inherent defects. Below is a list of common defects to consider when looking at purchasing a Victorian property or even if you already own one and would like to understand more about your property. Please do contact us if you have any further questions or would like to arrange a survey for damp related issues, structural reinforcement and/or timber treatments. Many Victorian properties are constructed with solid masonry walls. This type of construction is prone to rainwater penetration, particularly during periods of prolonged wet weather where damp masonry does not have the chance dry out before more wet weather is absorbed, eventually penetrating through to the internal surfaces. Defects with rainwater goods including roof guttering, downpipes and gullies all contribute to rainwater penetration and are common with buildings of this age. Rising Damp is the upward movement of moisture, through capillary action, into the structure. This process is not limited to external walls and can affect any wall in contact with the ground, including party walls and spine walls. 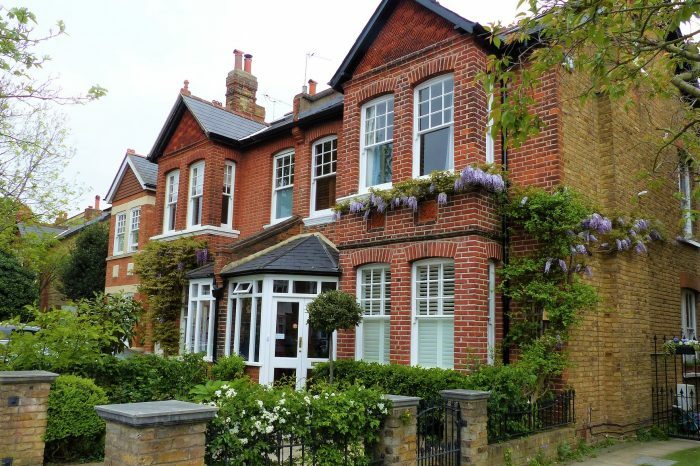 Many Victorian houses benefit from a damp proof course (DPC) of some description, the most common being slates but also lead, pitch asphalt or low absorption bricks. In order for moisture to rise above this level, a failure must occur. This could be because of the DPC being badly laid during construction, structural movement causing cracking (particularly in slate), or far more commonly, inadequate connection between newly built sections and the existing DPC as well as bridging, which is when a porous material is placed over the top of the DPC allowing moisture to bypass the DPC altogether and migrate up the wall. The good news is, with the use of thixotropic creams the DPC can be reinstated. However, the residual moisture within the wall will contain nitrates (NO3) which it picked up on its journey through the ground. When these nitrates accumulate on the surface of the wall they form hygroscopic salts. Hygroscopic salts attract moisture from the atmosphere and when this occurs to an unacceptable degree, it is necessary to replace the contaminated plaster with a specialist render. Victorian solid wall constructions are less thermally efficient than modern cavity wall constructions and are generally more prone to condensation issues, more so when modern less draughty windows have been installed. This is because moisture vapour, produced by the occupants in one form or another, is unable to escape. Condensation is a consequence of poor ventilation and/or inadequate heating. Warm air can retain more moisture then cold air. This means when moisture-laden warm air comes in contact with a cold surface, the moisture can no longer be retained within the air and is deposited onto the cold surface. 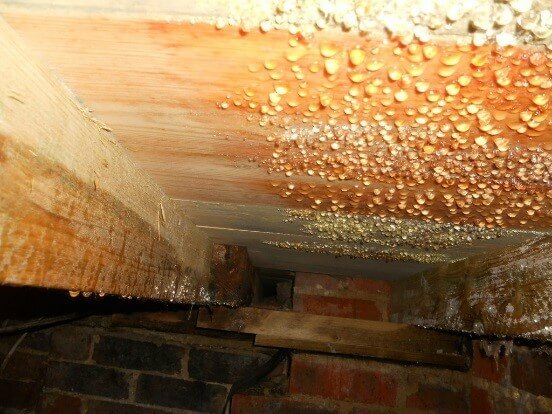 More information on condensation causes and prevention can be found on our website. 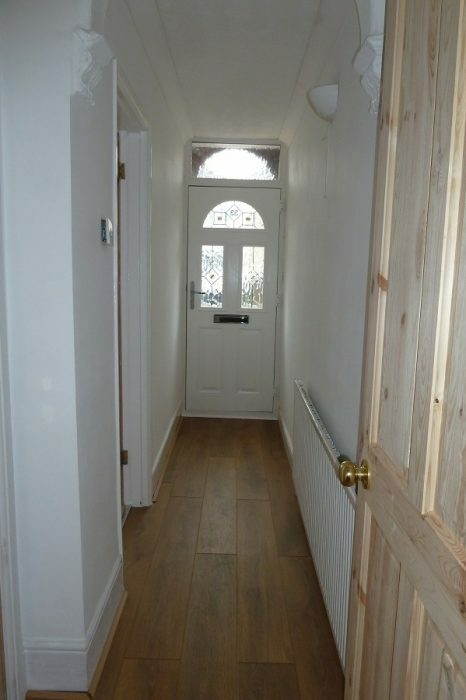 A common feature of a Victorian property is a suspended timber floor at ground level. A typical method of construction is to span timber joists across the width of the room, resting on timber plates connected to the top of masonry sub walls. Floorboards are then placed on top of the joists to form the floor. These floors are typically suspended above soil. The space in between the floorboards and the soil is referred to as the sub-floor void or oversite. Adequate sub-floor ventilation is required to allow any moisture build up, within the sub-floor, to evaporate and vent out. This requires through ventilation from the front of the property to the rear. Sub-walls should be adequately honeycombed with no debris to hinder the passage of air. Unfortunately, it is often the case that little or no consideration is given to sub-floor ventilation when Victorian properties are extended, cutting off adequate ventilation and allowing moisture build-up within the sub-floor. Victorian properties are particularly prone to certain structural defects. It is fair to say, any domestic property could be subject to subsidence, given the right conditions, but Victorian properties in particular are more likely to suffer with lack of lateral restraint, roof spread, lintel failure and differential movement (particularly in bay windows). Lateral restraint is a connection between the wall and internal floor or roof structure preventing the outward movement of the wall. Victorian properties often have joists running from front to back providing restraint to the front and rear elevations, but little or no connection to the flank walls. Roof spread occurs when rafters are not supported adequately within the roof void. This is a common occurrence when relatively lightweight slate roofing tiles have been substituted for heavier concrete roof tiles, generating a greater download force, trying to flatten the pitch of the roof and subsequently pushing external walls outwards. Victorian brick arch lintels rely on compression through the various elements to support the brickwork above. If this compression is compromised, normally through movement elsewhere e.g lateral movement, then the lintel will drop and normally present with diagonal cracking above the window. Differential movement within bay windows is typical within Victorian properties as the bay was normally constructed on a separate foundation to the main building. This was primarily to avoid destruction of the bay window in the event of movement to the main property.